This weekend (8-10 March) sees the first of four “long-haul” WRC events to be run in 2019. 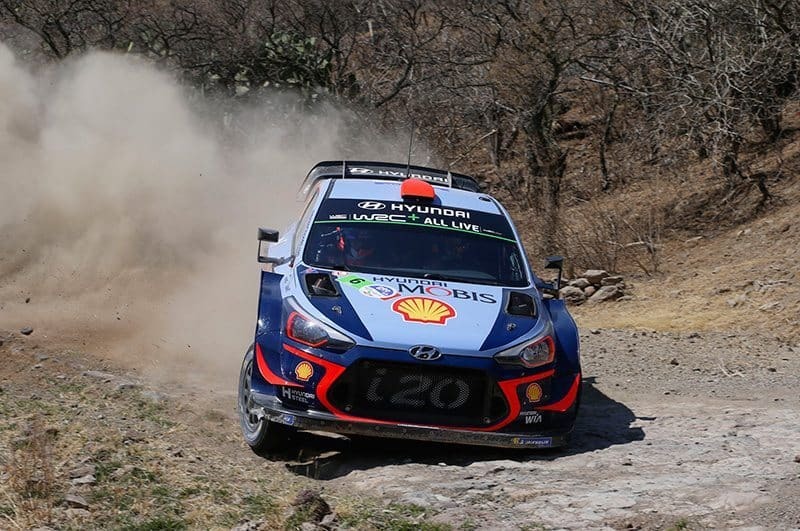 The Rally Guanajuato is to be run for the fifteenth time as a round of the FIA World Rally Championship. Once again it is to be based at the vast Central Mexican Plateau region City of Leon, close by the mountains where the stages are located. 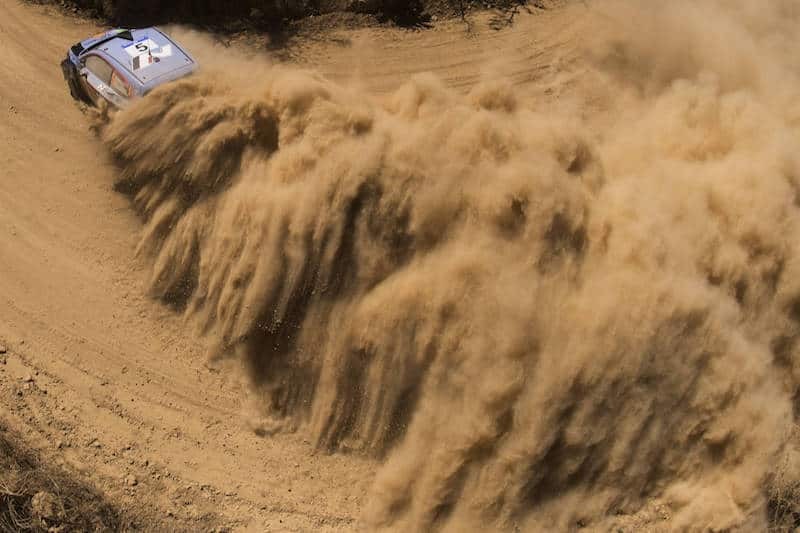 It is regarded as the highest elevation rally in the series which creates unique demands on engine cooling and changes in driving styles to overcome the reduction of power outputs of cars. It is the first rally of the year for cars using gravel tyres. 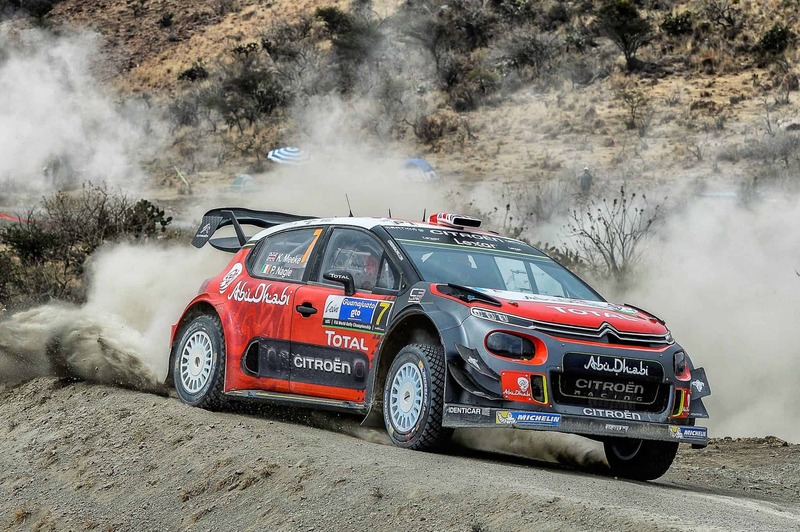 The entry list for Round 3 of the 2019 World Rally Championship, Rally Guanajuato Mexico, shows the event’s smallest number of crews. 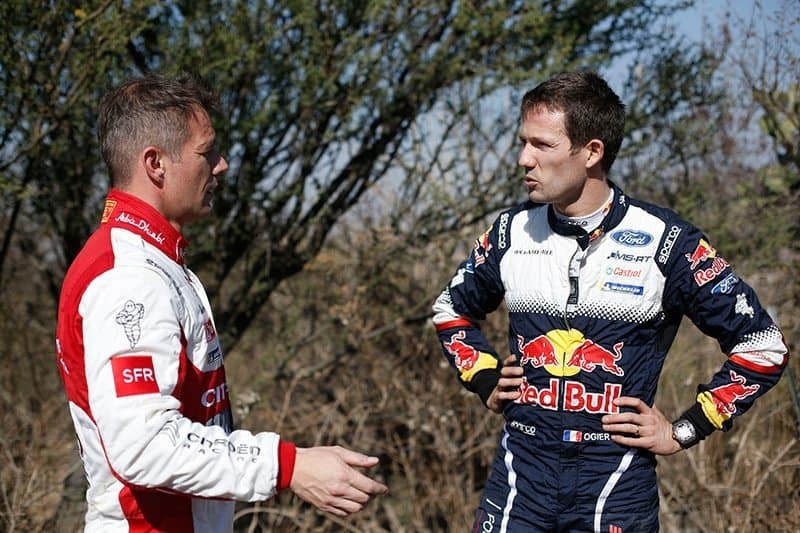 Sebastien Loeb and Sebastien Ogier in Mexico in 2018. After 29 crews started the event in 2018, this year there are only 23. There are 15 registered WRC competitors, only one WRC2 Pro – Lucasz Pieniazek – four in the WRC2 Amateur category, all from South or Central America, and eight non-registered competitors, with only one driver from Europe. This year Rally Mexico is a qualifying round of the FIA’s regional Nacam championship as well. Once again the policy of the WRC Promoter to increase the number of “long haul” world championship rounds (this year including the new event in Chile) comes into question. Apart from Monte Carlo 1997, which had an artificial limit on the number of WRC competitors who did the full route, over 20 of the smallest entries recorded in the WRC have all been for long haul events. The 2019 route will have similarities to 2018. The overall itinerary is mostly unchanged. The route will again feature the Ceremonial Start in the picturesque City of Guanajuato 50km from Leon, followed immediately by the downtown stage which includes an underground street. This year there will be two visits to the side-by-side rallycross circuit near the airport at which cars tackle twice, each time from the other side of the track. 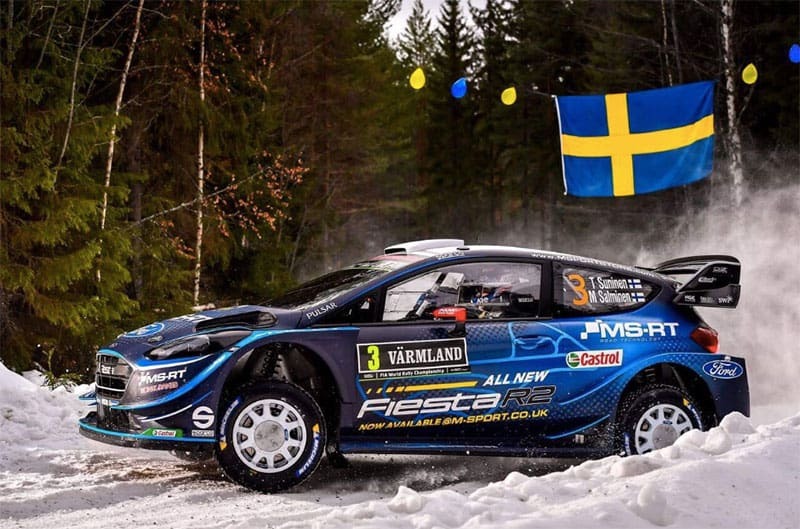 A geographical consequence of being the furthest west location for a WRC event is that the Power Stage and prizegiving are held much later in European time than any other championship round – seven hours after CET. Again, most of the organisers’ attention has been directed towards the improvement of spectator experience and safety, including directing spectators to safe and contained viewing areas, and communicating information and restrictions in a consistent and easy to understand way via social media. 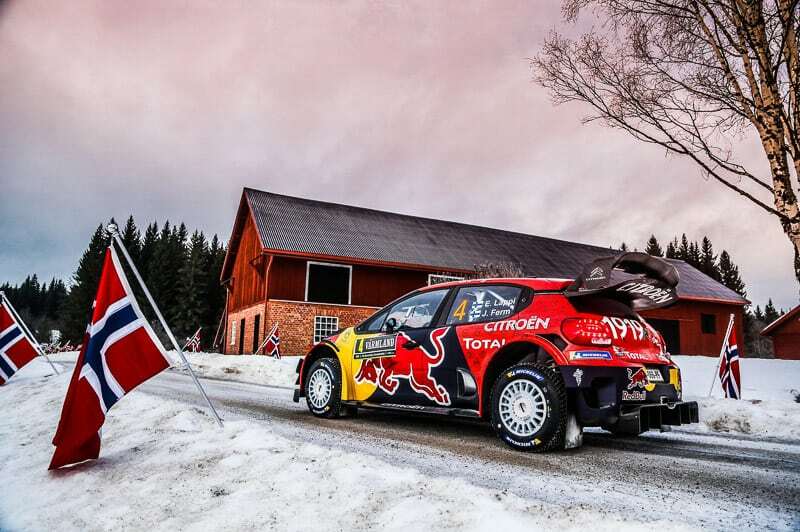 Other than disappointment about Ogier’s error, there were no unexpected problems in Sweden. There were four days of testing in Spain after Sweden in preparation for Mexico, two days for each driver at locations which hopefully were as close to the altitude and climatic conditions to Mexico as possible. The team calculates power loss equates to ten percent for every 1000 metres altitude. Consequential reduction in tyre wear means the team is comfortable to use the Michelin Medium (aka previously called “soft”) compounds. Same cars as in Monte Carlo (#7 for Ogier; #4 for Lappi). The same Subaru recce cars are used for long-haul events as in European events. Ogier has won this rally four times in the last six years, Lappi finished fourth on his only previous rally here. Still no announcements about revised top management positions, yet. This time Dani Sordo re-enters the WRC on his first time this year, in the absence of Sebastien Loeb. No unexpected problems in Sweden. One day testing in South Spain near Almeria after Sweden for each driver on gravel roads similar to those in Mexico. Unpredictable weather conditions make very high altitude testing impractical. Sordo drives Loeb’s car (#15), Neuville and Mikkelsen their usual cars (#16 and #12 respectively). Sordo’s second place on this event last year is the highest result from the current team drivers on this event though both Neuville and Mikkelsen have had podium results. This time only two WRC entries – again no technical surprises in Mexico. Regarding preparation for Mexico, some engine mapping work was carried out at Ford’s development centre at Dunton. One day testing for each driver after Sweden in Spain. Power generally reduced by 20% on this event and tyre wear reduced as well. Same cars as in Sweden (Evans #7, Suninen #4). In R5 cars, Lukasz Pieniazek has his Sweden car, Alberto Heller has his brother Pedro’s Australia 2018 car while Pedro has Gill’s Australia car. The team are providing Focus recce cars for Evans, Suninen and Pedro and Kugas for Alberto and for Pieniazek. Neither of the current M-Sport drivers has ever had a podium result. Apart from Gronholm’s unexplained brake troubles nothing mechanically untoward happened in Sweden. Right after Sweden the team spent five days of testing in Spain, covering all three drivers. About 20% power shortfall is normal on this event. Engines in testing had artificially reduced power outputs to replicate high altitude conditions experienced on the event. Since continued troubles with overheating last year on this event, this year the cars have a revised cooling package. Chassis 7 for Latvala (Tanak’s regular 2018 car), #8 for Tanak (Lappi’s 2018 car) and #9 (Latvala’s car up till Sweden) for Meeke. Drivers continue to use Subaru Impreza WRX STI cars for recce. This will be Latvala’s 13th Rally Mexico, he won in 2016, teammate Meeke won in 2017 but Tanak has never had a podium place in his seven attempts.